Agile Commander is a simple project management program. Its goal is to be extremely powerful for individual creators (indie developers, freelancers, start-ups) and small teams. 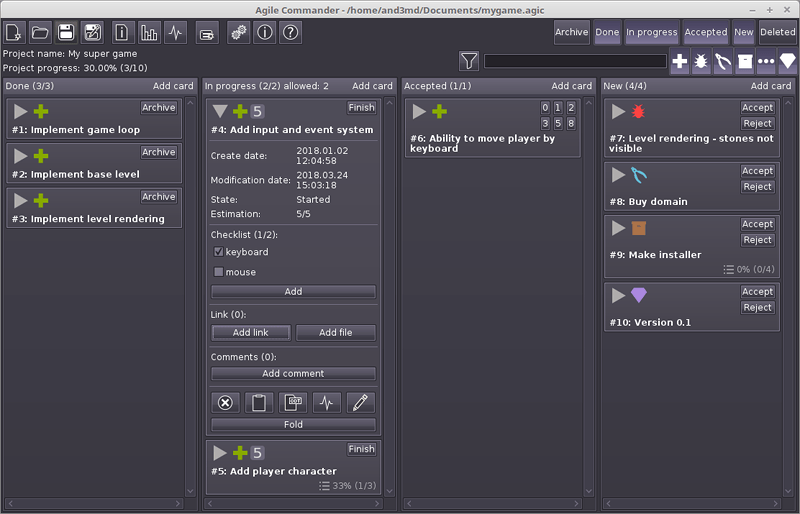 Agile Commander is consistent with the software agile principles, scrum software development techniques and Japanese inventory-control system named kanban. It’s also a good bugtracker. Available for Windows, macOS and Linux. had quick story filtering – by using text and easily accessible story type buttons.